Thinking about a portal reminds me of a few things. I realized, the moment I fell into the fissure, that the Book would not be destroyed as I had planned. It continued falling into that starry expanse, of which I had only a fleeting glimpse. I have tried to speculate where it might have landed—I must admit, however, such conjecture is futile. Still, the question of whose hands might one day hold my Myst Book are unsettling to me. I know my apprehensions might never be allayed, and so I close, realizing that perhaps the ending has not yet been written. This quote has stuck with me through the years and pops into my head now-and-again. Third a portal remind me of Science Fiction, outer space and the cosmos. I used this to inspire an ethereal look. 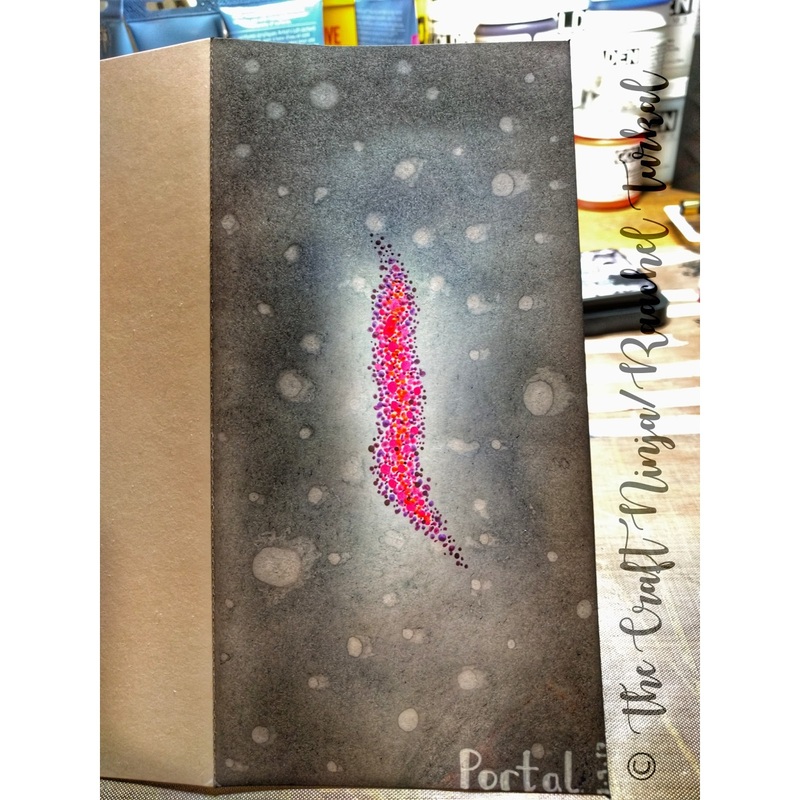 For the portal itself, I used a pointillist technique, imagining each point was a star or far-away galaxy. For more info about Journal52 please visit: Journal52.com. Want to see videos and watch the creative process? Watch & follow me at my YouTube Channel: The Craft Ninja! Thanks for reading & happy creating!